A fractional laser treatment is a non-invasive procedure that uses a laser beam to target a specific region of the skin. It can be used on any part of the body. The treatment will target both the epidermis and the dermis. Before treatment, the skin will be washed with soap and water. A numbing cream will be applied to the skin to numb it if required, and will be allowed to soak in for 30 minutes and the cream will then be removed. A full face will take about half an hour to treat. A cooling machine is utilized to help reduce the discomfort during the treatment. The skin will be pink in color after the treatment for 3 to 5 days. A mild sunburn sensation can often be felt for about an hour after the treatment. Swelling may occur but should subside within 2 to 3 days. Flaking of the skin will occur as the old skin peels off and new skin is replaced. Four to five treatments are usually needed, which will be spaced out about a month apart. Treatment is slow to progress but will be visible after about 3 to 4 months. Benefits of using fractional laser treatment include a short healing time of 7 to 10 days and results that are superior. Softer looking skin that appears to be younger can be a result. The treatment is best known for being very accurate, and since there is no crusting or bleeding of the skin, post-operative complications are eliminated. It is a great option when wondering how to get rid of acne scars. Fractional laser resurfacing is recent laser technology that rejuvenates skin and offers minimal recovery time and low risk of complications. 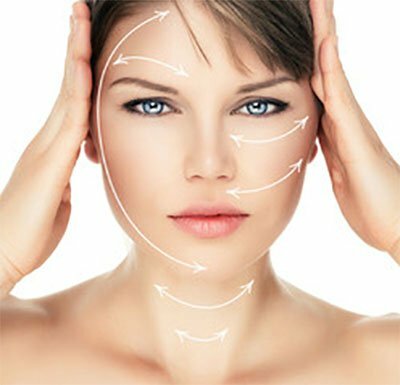 The laser utilizes a very precise resurfacing technology that is sometimes called “fractional” because it is able to treat specific areas of the skin while sparing others, resulting in smoother, rejuvenated skin. Lasers today target very specific molecules and structures in the skin to achieve a desired outcome. Lasers operate with various wavelengths for different results and outcomes. Ablative lasers target the outer skin layers and mid-level skin layers. By targeting and resurfacing these areas (the dermis and epidermis) the lasers are said to be ablative. The most common ablative lasers are erbium with wavelengths of 2940 nm and the carbon dioxide with 10,600 nm. Healing time with ablative lasers is typically in the range of 7-10 days with redness of the skin for several weeks. Non-ablative lasers specifically target the epidermis and dermis, while leaving the outermost epidermal layer intact. Most non-ablative lasers deliver wavelength energy of around 1,300 to 1,600 nm. Healing time with the Icon non-ablative fractional laser is typically a day or two with zero to no downtime. Why would I choose non-ablative fractional laser resurfacing? Those seeking a safe and effective method of skin resurfacing with little or no downtime choose non-ablative fractional resurfacing. Many skin conditions can be enhanced from high energy and penetrated deeper with the Icon laser, including: acne scars, surgical scars, stretch marks, fine wrinkles, and hyperpigmentation. Who is a good candidate for non-ablative fractional laser resurfacing? Men and women of various ages and all different ethnicities benefit from the Icon laser treatment. Those with realistic expectations of what the laser can and cannot accomplish are the best candidates for the procedure. It is not considered painful and is typically very well tolerated and depending upon treatment level and your own comfort level, a topical numbing cream may be provided. What are the post-treatment expectations? Edema, and sometimes blanching is expected immediately post treatment and generally resolves within 24-48 hours. It may last up to 3-5 days in some clients. Those being treated may experience significant, broken capillaries and bronzing in the treatment area for approximately 1-3 days after treatment. Once the treatment area has healed some itching or dryness may occur. This will gradually clear. Use gentle skin products recommended from the clinic. Avoid makeup for 24 hours. Avoid excessive exercise for 1-3 days after the treatment. If treated on the face, do not lay flat for the next 24 hours but try to sleep with 2 pillows. Treated areas should not be picked or scrubbed. Avoid sun exposure and use sunscreen recommended from clinic whenever outside.